July is here! Just a few days until we finally make the first steps on the path of code padawans. We are so excited! What can be better to go to a BBQ, meet other Rails Girls Summer of Code students and coaches and lots of lovely people…aaaaaand Linda Liukas in person (the super awesome woman who founded Rails Girls)? Yes, nothing could be better. 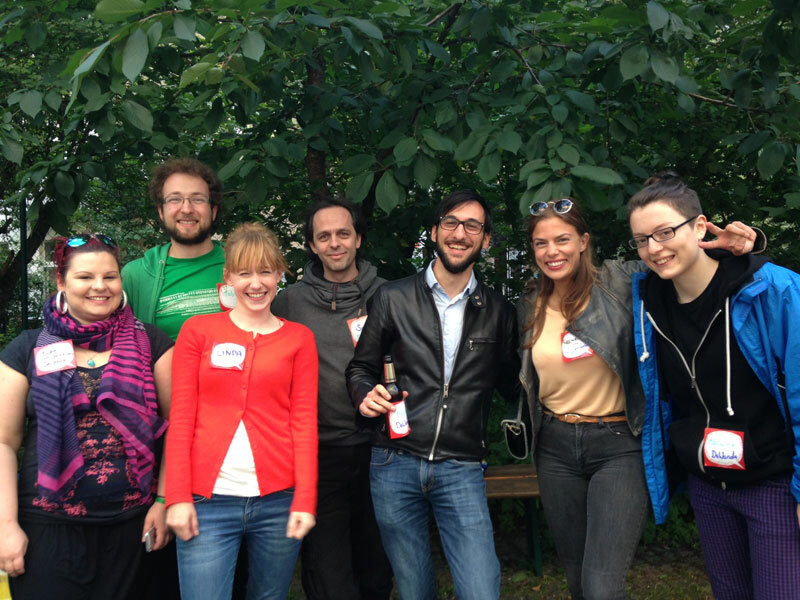 Good that Dawanda hosted a Kick-Off BBQ party for Rails Girls Summer of Code. (Unfortunately we took not so many pictures…) It was pretty nice, jummy food and drinks and lots of interesting conversations. It seems that there are a LOT of developers who are very interested in using our documetation testing tool. That is pretty cool and we are happy to build something useful. But it also raises the pressure to be successful.